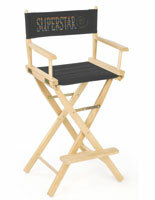 This metal folding tall directors chair is a stylish alternative to traditional wooden fold-up trade show furniture. 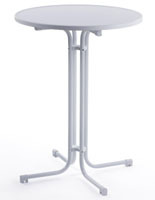 The 31" seat height is ideal for use alone or with collapsible tables. The sturdy folding tall directors chair is made from durable aluminum tubing and has a built-in footrest for comfort. The fold up frame comes with black canvas fabric covers and will securely support more than 300lbs. 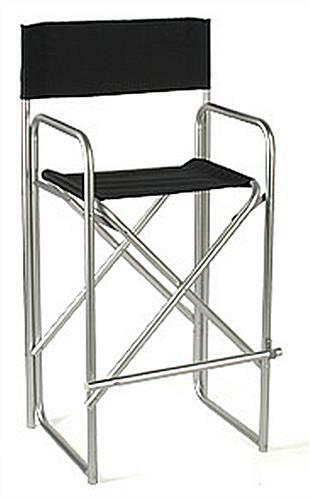 Each aluminum folding tall directors chair offers comfortable seating for staff and customers at trade shows or promotional events. 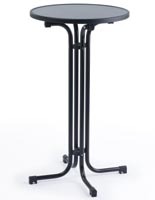 The portable bar height fixtures with black canvas seats also make great everyday furniture options for commercial or retail environments. 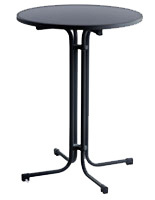 23.0" x 47.0" x 17.5"